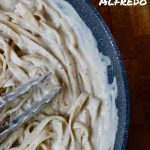 This is HANDS DOWN the BEST Vegan Alfredo Sauce Recipe. Ready in 30 minutes or less and there’s no chopping! 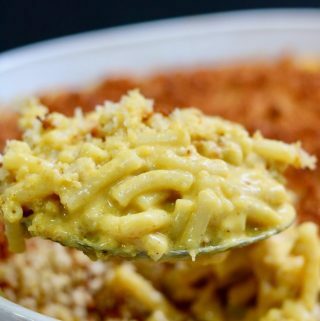 It’s creamy, cheesy and rich thanks to cashews and nutritional yeast. You will not taste a better Vegan Pasta Sauce! So my point is, I’d like to say I know a thing or two about Alfredo Sauce and thank goodness I have a healthy vegan version now, dairy free of course! 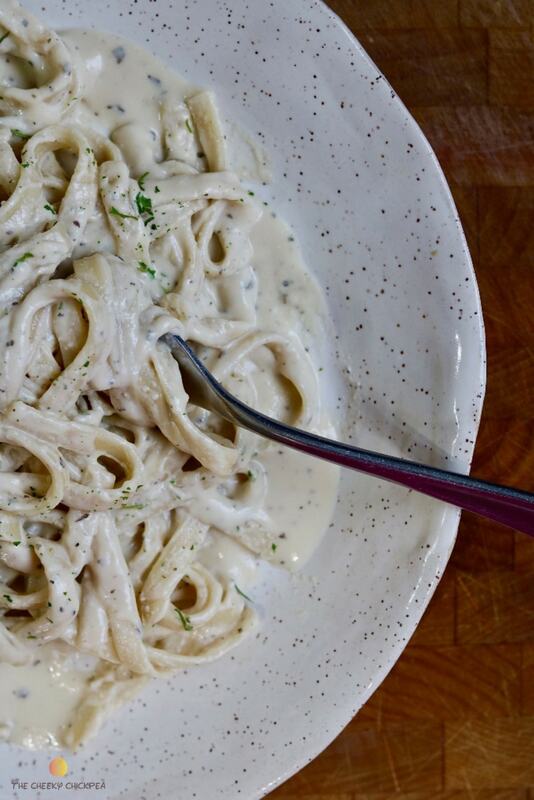 This Fettuccine Alfredo is the real deal. 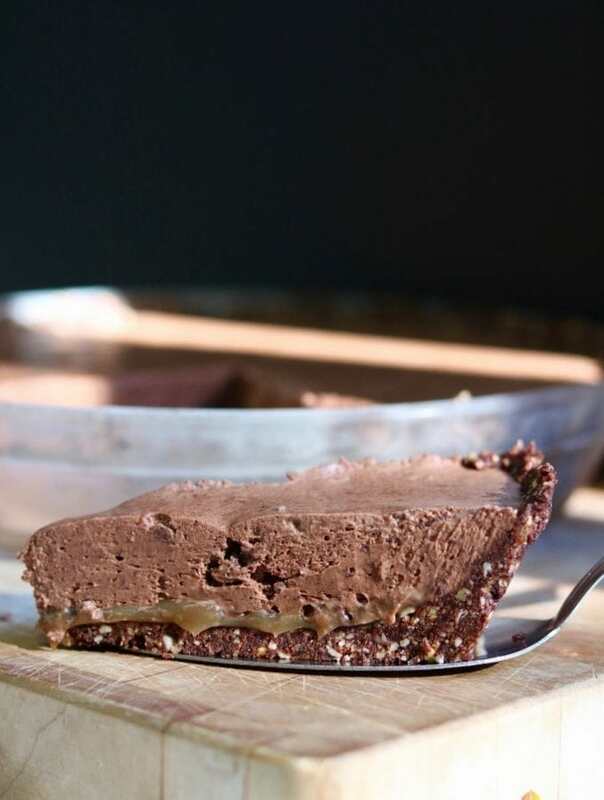 It’s better than any dairy version and so much healthier. You’ll actually feel good after eating it. 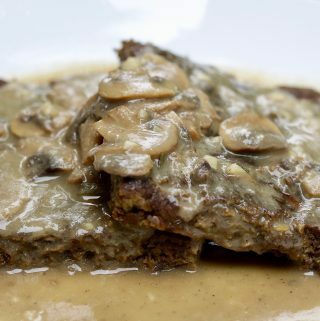 I make my sauce with white wine, cashews, cream cheese, miso, plant milk, bouillon, and dried herbs and spices. 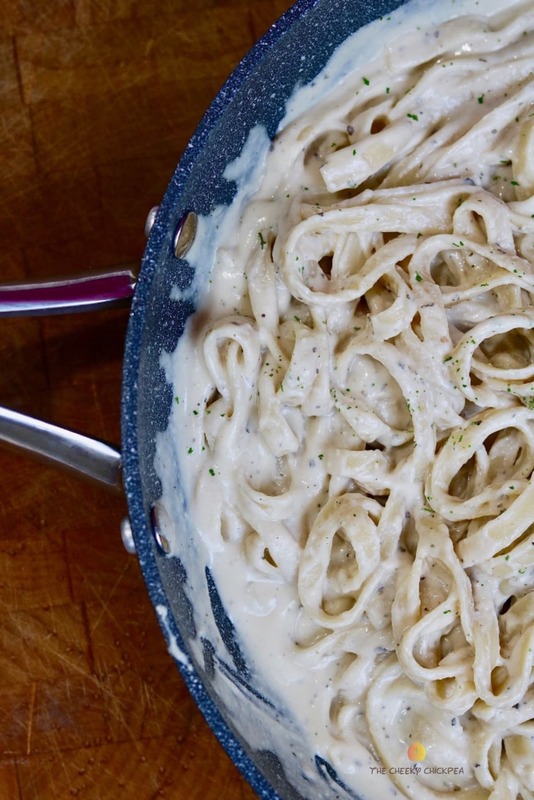 So if you want to impress your family and friends, throw together this Vegan Alfredo Sauce with some fettuccine or whatever pasta floats your boat😊 Serve it with some garlic bread and a light green salad and you’ll have an amazing meal, with no fuss. Start soaking the cashews in boiling water for 15 minutes. Then drain the cashews and add them to your Nutra Bullet or Blender with the rest of the sauce ingredients, except the dried basil. Blend it until smooth. Now add the sauce and basil to a heavy bottomed pan or skillet. Bring it to a boil then reduce to a simmer for 1 minute then remove the sauce from the heat. 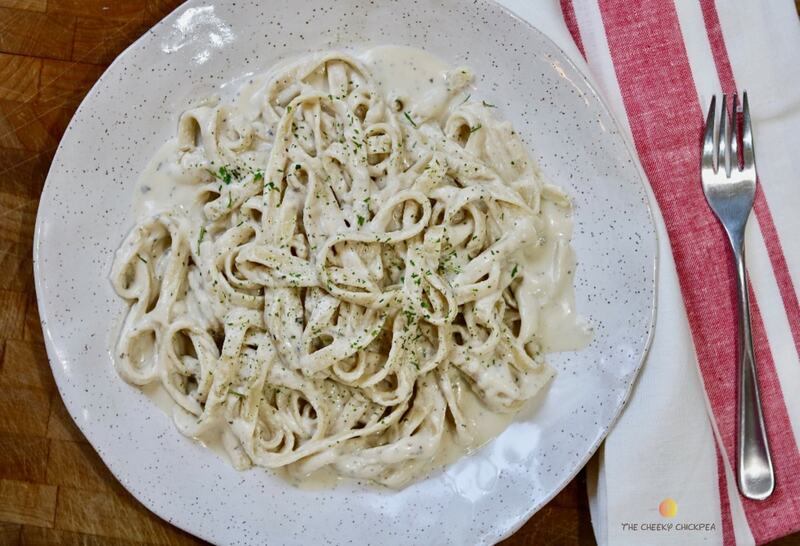 Serve over your favourite pasta and enjoy! 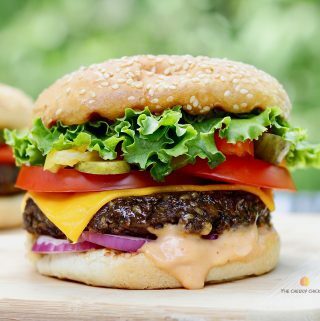 For full recipe check out the Recipe Card below. Enjoy you guys😊 Happy day to you! 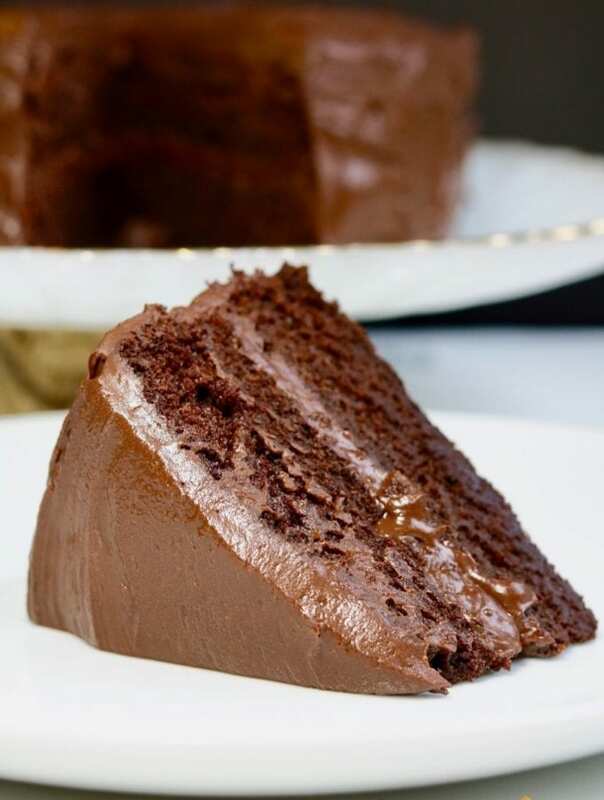 I’d love your feedback, feel free to comment and rate this recipe below. Start by adding cashews to a soup bowl and cover with boiling water. Let sit for 15 minutes. After 15 minutes drain cashews and add them to your Nutra bullet or Blender with the rest of the sauce ingredients except dried basil. Blend until smooth. Now add the sauce and dried basil to a heavy bottomed sauce pot or skillet. Bring to a boil, while stirring, then reduce sauce to a simmer for 1 minute. remove from heat. Check for seasoning and add salt and pepper if necessary. If to thick add a little plant milk or water. 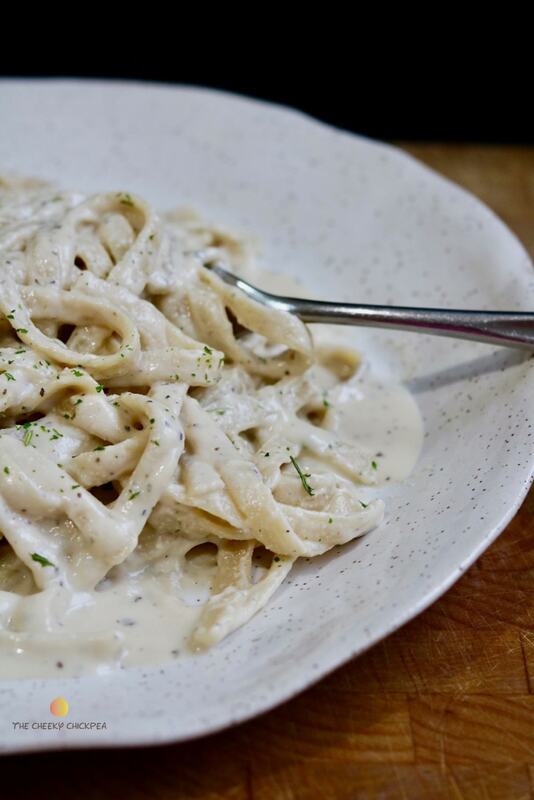 Serve over Fettuccine or your favourite pasta. Garnish with a little dried parsley. Previous Post: « 40 Vegan Salads – Healthy, Hearty & Protein Rich! Hi Gail 😊 Thanks so much for your comment. Hope you love it! 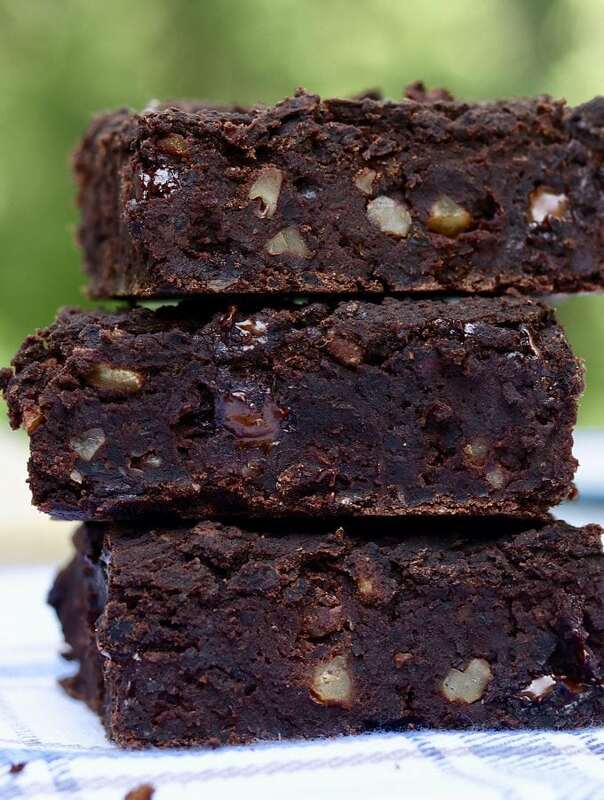 Could I use almond milk for this recipe? 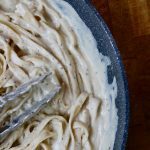 based on your photos, this is the best looking vegan alfredo i’ve found. However, I really don’t like to use/drink alcohol. Is there anything I can substitute in place of the white wine? Hi Naomi, I haven’t made my alfredo without wine, it really adds a lot of flavour to this dish and it does burn off. Having said that you could add more plant milk and a tsp or two of white wine vinegar and see if that works for you😊 Have a great day!